This paper investigates human–animal interaction in two very different hunter-gatherer societies, Late Dorset and Thule Inuit, who once occupied the eastern Arctic (Canadian Arctic and Greenland). I focus on their disparate hunting technologies in order to achieve a nuanced understanding on how cultural factors influenced this relationship and to ultimately better understand why Late Dorset disappeared from the archeological record. I assess how hunting technologies impacted each society’s archaeofaunas and describe what appear to be culturally distinct trends in the faunal remains. In light of these findings, differences between Late Dorset and Thule Inuit hunting strategies, and other societal aspects including labor organization, hierarchy, and food provisioning are considered. 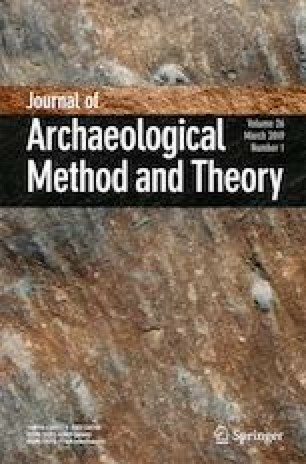 This research discusses how generalized versus specialized hunting technologies impacted the social trajectory of each society, and methodologically, it provides a case study for how the use of specialized technologies can be viewed in the archeological record. The data for this article is derived from my doctoral dissertation. I am indebted to my doctoral advisor Max Friesen for his generous support and advice, and to Gary Coupland and David Smith for their guidance throughout my research. I also benefited from the insightful comments of the rest of my examination committee, Katherine Patton, Genevieve Dewar, and Bjarne Grønnow. I am very grateful to Robert Park, Karen McCullough, and Martin Appelt, as well as to the Canadian Museum of History, Greenland National Museum, and the Zoological Museum of Denmark for supporting my analysis of the Grinnell Peninsula and Smith Sound faunal collections. An Ontario Graduate scholarship funded part of my doctoral studies, the University of Toronto’s Research Travel Grant and the Department of Anthropology’s Preliminary Research Grant funded travel to Copenhagen to identify the faunal sample from Greenland, the Northern Scientific Training Program (Northern Development Canada) supported part of my work at the Bell site, and excavations at Iqaluktuuq were funded by a SSHRC received by M. Friesen. I owe many thanks to Adam Allentuck and Mari Kleist for their comments on an earlier draft of this article and to the anonymous reviewers for their helpful comments. Thank-you to Michael O’Rourkewho made an earlier draft of Fig. 1. All errors are my own. This study was in part funded by the Vonda McCrae Clarke Memorial Ontario Graduate Scholarship, the University of Toronto, the Northern Scientific Training Program (Northern Development Canada, Government of Canada), and a SSHRC awarded to Max Friesen.